This re-release is a new transfer from the same source tape I used in 2006, however I also came across a tape I had bought that had excerpts in better quality, and included the opening titles which was missing from my original tape. 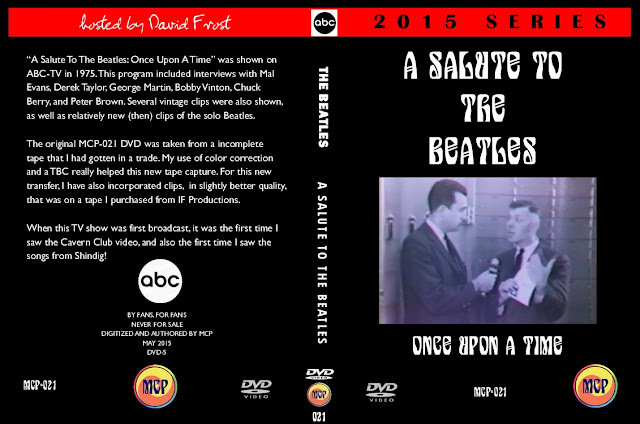 This DVD is a mix of the two tapes. Includes interviews with Mal Evans and Derek Taylor, as well as other cool Beatle stuff. Note that this new version omits the "Welcome To Pepperland" film that was also on the original disc. This new transfer is at a higher bitrate, so there wasn't room. DreamHost is one of the best web-hosting company with plans for any hosting needs.